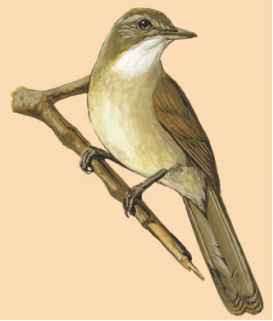 Physical characteristics: The leaf-love species of bulbul generally has a gray head, with a dull gray-olive back, and a bright, rusty tail. 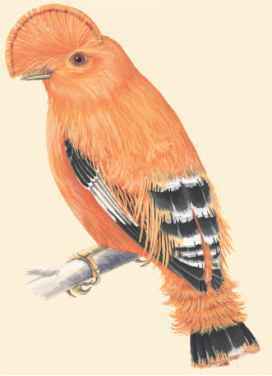 The feathers of the tail and rump are full, and the nape of the neck and area near the bill has a light cover of black bristles. The belly of the bird is colored yellow with creamy white undertones. Both sexes are similar. The juvenile bird is also olive-gray with a rusty tone, the chin and the underparts are white, and the undertail is a pale rust. Leaf-love bulbuls are usually about 5.9 inches (15 centimeters) in length, with a weight range of 1.1 to 1.9 ounces (33 to 53 grams). Geographic range: Leaf-loves are found in east central Africa, as well as Sudan, western Gambia, Senegal, Guinea, Sierra Leone, Liberia, Mali, Ivory Coast, Ghana, Togo, Nigeria, Cameroon, Gabon, southern Congo, Central African Republic, and Democratic Republic of the Congo. 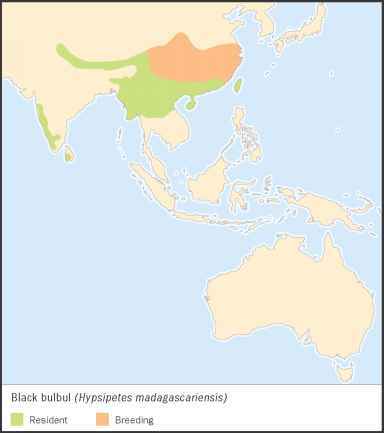 Habitat: Leaf-love bulbuls live in forests and in the brush and shrub undergrowth, and small trees near water. Diet: The leaf-love bulbuls are omnivores and scout for food in trees, on the ground, and in any vegetation, feeding on insects and their larvae, small snails, seeds, and berries. Behavior and reproduction: Leaf-loves are territorial in their habits during breeding season. The nest, which appears as almost being too small, is cup-shaped and suspended in twigs by cobwebs. The female incubates the eggs alone.